October 31, Day of the Dead arrives! Jack-O-lanterns line the streets, and little rascals roaming about pranking others. The black cats’ eyes sparkle, skeletons dangle on trees, ghosts pass through people, and witches fly through the skies on brooms with glee. At Halloween everything spooky and creepy comes to life, and people enjoy playing mischievous pranks. With all the fun, one has no choice but to join in. Boo! At 12:07, Conor has a nightmare. A yew tree from the church grave transforms into a monster and appears in Conor’s room, calling his name. Conor believes he is too young to believe in monsters. He puts off what he sees as a figure of his imagination from his nightmare; however, he awakes to find leaves and yew berries in his room. Besides those things, he finds a small tree growing in his room from the floor. He tosses away the idea of a monster by getting rid of the leaves and branches from his room. The monster says that it will come to Conor’s room at night and tell him three stories and then Conor will tell the monster a fourth story. The monster also says that the fourth story will be unbearable because it is about his mother, who has caught a fatal disease. Why does the monster come to see Conor in his room every night? Who is this monster? Is it possible for Conor to tell a true story about his mother to the monster? “The monster showed up just after midnight. As they do.” This start pulls in readers immediately. The story is an original book started by Siobhan Dowd. Sadly, she passed away before completing the story. She wrote one thousand words of the story before leaving the world. Her editor asked Patrick to complete the story. The completed book by Patrick is the work this SMT reporter read. With its black and white and grotesque illustrations, readers are pulled into strange stories spoken by the monster vividly. The book has neither an obvious nor happy ending. Readers are left continuously guessing until the final chapter. Although the content of the book is not directly related to Halloween, its episodes and chapters cause readers to feel the spooky atmosphere of Halloween. Readers also learn the importance of telling the truth through Conor who learns to overcome his difficulties. 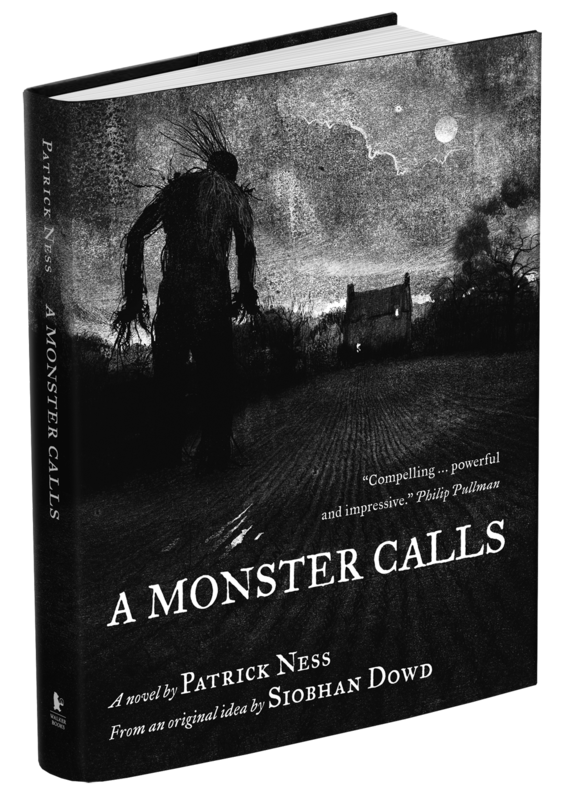 Moreover, <A Monster Calls(2011)> was turned into a movie in 2016. The movie was highly praised by audiences for its visual beauty. Would you like to feel Halloween though a touching story? Then, this SMT reporter recommends reading the book and seeing the film based on the book. “Boys and girls of every age. Wouldn’t you like to see something strange? Come with us and you will see. This, our town of Halloween." Halloween Town comes to life on the chilly wind, through a strange opening song. Halloween Town is filled with curious monsters that are creatures straight out of horror stories. They are absorbed in making their annual event the best each year by proposing new and innovative ways of surprising and scaring people. Jack Skellington, actual leader of the town, is a celebrity loved by all villagers; however, one day, he feels his life is tedious and an endless repetition of preparations for Halloween. Out for a stroll, Jack finds Christmas Town by chance and falls in love with the bright and warm village completely contrasted with his own Halloween Town, full of fear and gloom. So, Jacks decides to be a head of Christmas. Sally, thinking of Jack’s wellbeing, tries to stop him, but Jack succeeds in kidnapping Santa Claus. And the day of Christmas, Jack in his Santa Claus suit hands out presents with villagers of Halloween Town. He hoped to pass joy, but instead, there is fear and great panic among the people. To make matters worse, Santa Claus and Sally fall into peril because of the villain Oogie Boogie. Will Jack be able to save them and set Christmas straight? An unexpected harmony with Halloween and Christmas is collaborated between Tim Burton and Disney in the beloved masterpiece <The Nightmare Before Christmas(1993)>. The movie's central concept is Halloween. But it is gripping, fantastical, and humorous rather than typical fear and scare of Halloween stories. It adds upbeat elements of Disney’s unique musical style. Above all, Tim Burton's drawings are well captured by Disney. The film is that Burton’s original world comes to life. In terms of filming techniques, Director Henry Selick, famous for his stop motion film <Coraline(2009)>, brings the movie to a higher level through his manual stop motion techniques. Although the film creation took a long time, each character's movement and presence do nothing lightly in every scene. The final product was well worth the three-year production period, “Not a Santa Claus, day of Sandy Claws is alive!” Personally, even this SMT reporter loves this type of animation, but the eff ort and detail by all involved in the film make it impossible for one not to fall in love with it.